Asociación Civil Parteras Tradicionales Unidas Tumben Cuxtal. México. Filiberta Tun Quijano, Traditional Midwife, President. Santos Juvencio Angulo Ku, Mayan Dignitary. Sabrina Speich v.E, Traditional Midwife. Secretary General of the Association. Claudia Avendaño, Traditional Midwife apprentice, Treasurer. Antonia Echeveria UC, Traditional Midwife, Quintana Roo, México. Red por la Humanización del Parto y del Nacimiento, Perú. Red por la Humanización del Parto y del Nacimiento, Ecuador. Alicia del Carmen Huete Díaz and Ramona Alfaro Morales Midwives from Nicaragua. Amigas do Parto ONG. Brasil. All rights reserved. Latin American & Caribbean Network for the Humanization of Childbirth encourages others to copy, reproduce or summarize any or all parts of this document giving credit to the source. The information contained in this Document was meticulously verified by RELACAHUPAN. However, this document is being distributed without warranty of any kind. 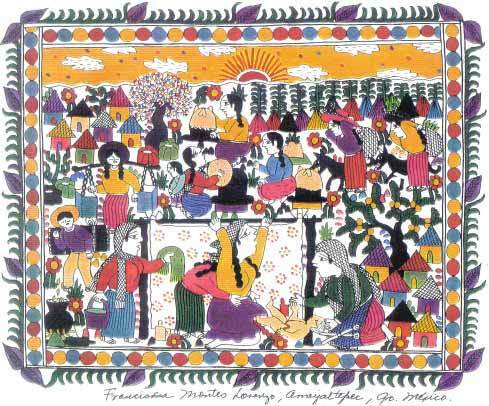 Translation by: Gisela Jung Seifert, Rosarito Morales Berrios, Carol Irene, Vanessa Caldari Meléndez and Philip Escobar Jung. Editing: Doral L Ortiz Rodríguez, Alina Bishop, Lauren Showe, Gisela Jung Seifert, Gregorio Marcano, worked in the definition, Luz Nereida Pérez, Cheryl K. Smith and Val Dickens. The affirmative action of all collaborators signing this document is the protection, inclusion and development of the practice of the traditional midwife. Today they have proven to be a sustainable and unique labor force at the service of many mothers and their children in isolated and poor communities and for women who choose their services freely. For this reason we have created this document in consultation with traditional midwives, midwives and other health providers from our region, Latin America and the Caribbean. As a people, we appeal to maintain equilibrium between development and culture, based on the importance of equity, justice, safety and human rights. Our aim is to protect the justice of women and foment the tolerance of differences. Therefore adjustment resulting from conflicting interests between your organizations and us are necessary. History has shown us that centuries ago, the European traditional midwife started educating herself to acquire new abilities. That is how she has maintained her generally successful practice through our times. Traditional midwives in Latin America and the Caribbean today have the same rights for self-improvement. According to research trained traditional midwives acknowledged in their communities helped to diminish significantly maternal-infant mortality and morbidity, and are need it. We know, that in our region of the Americas we are far from: 1. Eliminating poverty from marginalized communities- a recognized cause of precursory risks for mother and infants and 2. Establishing adequate health services for mothers in many years to come. Before the influence against the traditional midwife in this part of the world becomes too strong, we propose what former Secretary General of the United Nations Kofi Annan stated, when he said “The goals of the New Millennium can only be reached, when we break with business as usual… we need something new and different”. The “different” was defined as a comprehensive and consolidated effort. We are thinking in similar terms, proposing the initiation of a constructive dialogue with all concerned parties. We are presenting our definition of traditional midwife and other considerations to promote the exchange of ideas on the subject. She is an independent essential and primary care provider during pregnancy, birth and postpartum and is recognized as such by her community and jurisdiction. She offers domiciliary services. She works in isolated communities in developing countries and sometimes she practices in developed countries. She is a neighbor of the mothers she assists, and may be aboriginal in her country. Her talents vary according to the region of residence. Her gift as a midwife and her intuition help create an intimate, unique relationship with each mother and infant under her care. The use of diets, plants, various infusions, immersion baths, sweat baths, incense, enemas and massages integrate her knowledge. She Understands and uses minimal intervention and special maneuvers to work with the most difficult births. She practices hygiene, promotes breastfeeding, and protects the mother with her presence, advice and prayers. The traditional midwife considers birthing a natural event, for many it is a ceremony. The traditional midwife works and collaborates in the health of the newborn baby and takes care of her/him as long as it deems necessary. She also takes care of the mothers' health, offers education with regard to family planning and is accessible to help the women with her needs throughout her life. She gets her knowledge from traditional, and informal methods ancient to the profession. This includes: Learning through her own experience as a mother, assisting other women, from her ancestors, colleagues, healers, other health providers and by means of self-learning; dreams, examples from nature, spirits, her spirituality and God may guide her work. When her education comes from a non-governmental organization she is known as a trained traditional midwife. Occasionally she works in collaboration with other health providers. At times she may work in clinics and often she is the bridge between the health system and her community. It is extremely important to acknowledge the traditional midwife as such and the acceptance of her title in equal terms as that of the midwife with formal studies. This definition needs to be accepted by international organizations and should be used in future references. International organizations affect the midwives, mothers, communities of our countries and, health politics intended for our region- the Americas. We believe firmly that the use of the name “midwife” per definition – the definition of the midwife from the ICM and the definition of the traditional midwife given by us- strengthen the image of all midwives. It does maintain an orderly and transparent succession of the profession within our social, linguistic and historical context. And is in concordance with an act and feeling of solidarity many midwives of our region claim. Acknowledging the voices of all women everywhere and taking note of the diversity of women and their roles and circumstances, honoring the women who paved the way and inspired by the hope present in the world's youth empowerment (Beijing Declaration ,1995). Women's empowerment and their full participation on the basis of equality in all spheres of society, including participation in the decision-making process and access to power, are fundamental for the achievement of equality, development and peace. (Beijing Declaration ,1995). A comprehensive explanation and not only statistics, offer a more ample and complete perspective. Accordingly, we want to create respect for traditional medicine – an experience that started since human beings first appeared on earth- and a balance with the politics of academic medicine, a branch resulting from tradition we also share. Both paradigms can relate and together we can continue to offer a complete service, according to the mothers’ selection, in such a way that each health care provider can coexist comfortably in this world. It has been suggested that they could perform the role of the skilled attendant, where required, with some training. Research indicates that training of TBAs has not contributed to reduction of maternal mortality. In practical terms TBAs can help in the provision of skilled care to women and newborns by: serving as advocates for skilled attendants… giving social support during and after delivery or as a birth companion. The younger and the most able TBAs, with educational backing and access to appropriate adult education programs, may be able to enter a midwifery program. Here are our positions relating to the points mentioned in the document above. In concordance with the numbers. (1) We must be careful how statements like “traditional midwives could only perform... with some training” may influence governments. Due to circumstances beyond their control, many traditional midwives do not have opportunities of development. At the same time they are the only and real resource for the poorest and most isolated mothers in developing countries. This is detrimental to their profession and can create conflict and indifference from other health care providers in health care facilities. (2)(3)(4)(5)(6)(7) Programs in developing countries have used funds either for the training of traditional midwives or for the establishment of facilities with new health care providers. But most have not planned to use funds in equitative manner. On the other hand, excellent results are attained when both aspects are developed at the same time as shown in the examples below, where the relations between health providers does not pretend to change the role of the traditional midwife or the election of younger ones, it only pretends to add knowledge to the practice of the existing ones. In Puerto Rico from 1950-1951 (years of extreme poverty) reports revealed that 60% of the births were attended by midwives at home. It was reported that 46.5% of the maternal deaths occurred in births attended by medical doctors and 28.2% in those attended by midwives. 9 Midwives were trained on the prevailing causes of maternal/infant mortality and morbidity in groups within their community and by collaborators. Health facilities did not exist in many areas of the island. 10 It showed that in poor areas and extreme situations midwives handled difficulties with superior dexterity. (4) However, barriers to the establishment of Essential Obstetrical Care centers (EOC’s) in areas currently without such services include lack of available or foreseeable funding, as well as the challenge of staffing EOC’s in relatively remote and economically impoverished areas. 16 – suggesting nothing to do with the training of traditional midwives-. (7) As measured at two years post-training, a four-day curriculum (utilizing interactive learning techniques, practical applications, and an on-site orientation to referral facilities) and follow-up monthly feedback meetings for training traditional midwives (TBAs) in rural Honduras resulted in improved and retained knowledge as well as marked improvement in referral practice when compared with control traditional midwives (TBAs). 18 - The capacity to learn is different for each person and it happen at any age-. (7) A surprising yet prominent theme expressed by the midwives throughout the focus groups was ‘the desire for additional training to better help the women of their communities. 20 - something repeatedly stated-. She has the courage to work with the birthing process in isolated communities, and often without the necessary resources. She does not leave the mother alone. With the existence of many marginal communities in Latin America she is the person with special skills and with connections or knowledge to other health services. Her socioeconomic level is compatible to that of the women she serves. In many countries the government is not formally against them. They have demonstrated, inherent in humans illiterate or not, their ability to learn. Data has shown that in some places where health clinics were established, some mothers prefer to be assisted by a traditional midwife during birth. This constitutes her right and reason enough to simply maintain her existence and to help cultivate homebirths, which is a real social advantage in the short and long term. The explicit recognition and reaffirmation of the right of all women to control all aspects of their health, in particular their own fertility, is basic to their empowerment (Beijing Declaration ,1995). Written mention of the recognized name in our region- Traditional Midwife. Establishment by writing of her right to be respected and recognized as primary care provider for mother and babies in her region by other health care personnel. Establishment of a mechanism of close collaboration with other health professionals and provision of equipment for prevention and emergencies. Recognition of her natural autonomy. In any written document the word “collaboration” should be used and not the word “supervision”. The interdependence should be reflected with this term. Regulation for the protection of providers of homebirths and for the right of mothers to be attended at home as well as the recognition that homebirth sometimes is the only option women have. Establishment by writing the non-offerings of gifts and social benefits to mothers as a token to choose another health provider as that of the traditional midwife. Protection in favor of the traditional midwife. Not to be offended, demoralized, or to be discriminated because of age, illiteracy or other reasons; be used in disguised or open mechanisms of elimination; she should not be oppressed or forced to stop or change her role, or be reduced in numbers. The existence of a systematic collaboration between traditional midwives and other health providers is of utmost importance. The systematic collaboration, development and continued supply of materials diminish these risks and offer timely treatments. Plan workshops for the development and education of all concerned, to establish non-hierarchic relations. Inquire about necessary supplies and needs. Promote monthly meetings between traditional midwives within their community for peer review. Create clinics to verify the health of mothers and child they serve. Share methods of knowledge and provide technology to check position of placenta, basic blood work, urinalysis and any other appropriate and possible diagnostic tests. Promote for women in their reproductive years the consistent use of traditional midwife services. The collaboration can come from different sources such as: Required community services after graduation for health care providers, from students, offering academic credit for their work, other governmental resources and NGO’s. With the help of the collaborators, traditional midwives can go to health facilities within their community establish collaborative ties and frequent communication with other health care providers, thus promoting healthy attitudes and prompt treatment when transfers are needed. Provide each traditional midwife with a telephone; a list of telephone numbers of clinics, emergency system, other midwives, collaborators assigned to the area and health professionals. Supply the midwives with a rainproof case including: measurement, scissors, stethoscope, fetoscope, materials for umbilical cord, alcohol and other equipment. Promotion of networking with people helping them in the development of proposals for funding to improve the quality of their services, acquire continuous education and attend midwife’s conferences. Promote simple doula training given by traditional midwives. Doulas can help mothers with essential and personal care, can detect weaknesses and discomfort in the mother and refer her promptly to the midwife. These responsibilities could create a new profession for other women in the community. Collaborators could help obtain a vehicle with gasoline for the use by the midwives and supply direct credit line to pay for gasoline and vehicle maintenance. More studies of traditional midwifery, their work and performance should be conducted, to acknowledge their virtues and enhancing the understanding by academics and others. Use references and explore about native plants and its preparations to diminish the risk of hemmorrage: uterine tonics, high in calcium, iron, vitamin k and nourishing plants to use during pregnancy. Share knowledge about technics establishing immediate breastfeeding in the postpartum period. To prevent or revert pre-eclampsia use the guides suggested in the Gail Sforza Brewer and Tom Brewer’s What Every Pregnant Woman Should Know: The Truth About Diets and Drugs in Pregnancy. Anne Frye’s books and other literature used in Latin America. Native medicinal plants (green medicine), ways of preparations, uses and dosages. Potent preparations accesible and easily elaborated by them. For use in cases of illness, emergencies, when other supplies are lacking or clinics are to far to access. Exchange knowledge of emergency procedures for prevailing causes of death and illness in mother and child. Provision of allopathic medicine, vitamins, protein supplements, and emergency medications. Refrigeration should not be necessary. Guarantee their supply. Orientation about family planning, post abortion treatment. Add a simple HIV test and provide information about prevention. We understand that the best solution implying less risk is simple, safe and economical. According to our present reality and infrastructure it is of utmost importance to provide traditional midwives with all the necessary knowledge, support and mechanisms to intent health and life of mothers and babies. On the other hand, any proposal for the development of midwifery practice should be designed to maintain and protect the traditional knowledge, evolution of their wisdom and the strength of their confidence. Many traditional midwives are poor, working mothers without formal education and therefore with the need for comprehensive adult education facilitated in their communities. Interested and able traditional midwives desiring to assist schools should be encouraged and supported economically. Both options should be considered in any proposals to maintain the highest possible number of midwives working in their field. 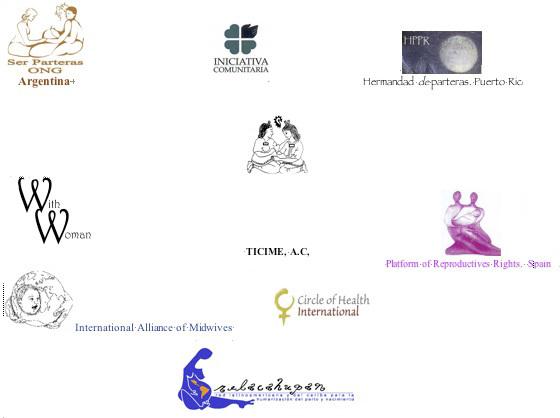 If a school for traditional midwives should be created we recommend the use of the model of the School for Professional Midwives CASA in Guanajuato, Mexico, or, the standards made by the Midwives Alliance of North America. Both are recognize models of development that are adequate and sensible, among others. Traditional midwives ability to absorb and retain information tends to be excellent. Perception of the universe, the environment, and other emotions tends to be more developed, among other virtues. Most are very proud to be a traditional midwife. These primary health providers confront life and death experiences more than many other human beings, and still continue assisting mothers during their childbearing years. Traditional Midwives have developed a sense of empowerment that should be acknowledged and treated with profound, supreme and delicate respect. 1. Letters. Lauren Showe. Her experience with traditional midwives in Ecuador and Argentina (2007). Alina Bishop. México experience with traditional midwives (2007). Debbie A. Díaz. Historia de la Parteras de Puerto Rico. (1999). Thesis. UPR. RCM. 2. The Cairo Declaration on Human Rights Education and Dissemination. 13-16 October 2000. 3. Sibley, L.M, Sipe, T.A. (2003) . Review of: Traditional birth attendant training effectiveness: a meta- analysis. International Journal of Gynecology and Obstetrics 83: 121-122. 4. Puerto Rico. Departamento de Salud de Puerto Rico. Material informativo sobre el Programa de Comadronas, 5 de mayo del 1955. 6. Rodgers, Kevin A. M.D., et al. “Outcomes of Training Traditional Birth Attendants in Rural Honduras: Comparison with A Control Group”, Journal of Health & Population in Developing Countries (2004). 7. Santos Febres, Mayra. “ Perdónenme la insistencia”. El Nuevo Día, 18 de febrero, 2007. Cultura P.118. 8. Shiffman, Jeremy, and others. Constructing political will for safe motherhood in Honduras. Syracuse University. 9. Puerto Rico. Departamento de Sanidad. Informe anual del Director de Sanidad al Honorable Gobernador de Puerto Rico, 1950-1951. 10. Departamento de Salud de Puerto Rico, op. cit. 13. The Cairo Declaration, op cit. 14. Costello, A., op. cit. The Cairo Declaration on Human Rights, op cit. Lisa Kane Low, op. cit. International Covenant on Economic, Social and Cultural Rights. (3 January 1976). United Nations. Health institutions working in indigenous communities should promote and foment the use of traditional medicine. This should be done by registration and accreditation of all persons using traditional health methods and giving maternal care. Its application requires the necessary support providing elements so that their work may be accomplished adequately. Estado De Quintana Roo, Legislatura Constitucional. (1998). Ley De Derechos, Cultura y Organización Indígena, Decreto 140. Artículo 34. CASA. (2006). Elementos que han hecho posible la formación de parteras mexicanas altamente calificadas y comprometidas a contribuir a dar soluciones a los problemas de salud de la gente más necesitada. Borrador. Guanajuato, México. Davis Floyd, Robbie. (2006). Letter about the definition of the traditional midwife. Oaxaca – Parteras Tradicionales. (2004). Pronunciamiento. Midwifery Today 69. Ria Vys, Leona (2006). Encouraging Service Through Collaboration. Development of Nursing and Midwifery in Africa. Sigma Theta Tau International. Sandrasagra Mithre J. (2006). Dar vida y no morir. Rebelión. IPS. Sibley LM, Sipe TA. (2003). What can a meta-analysis tell us about traditional birth attendant training and pregnancy outcomes? Georgia State University. Vera, Gilda, y otras. (2006) . Humanización del parto sobre un enfoque de patrimonio cultural. Parteras tradicionales en América Latina. Presentación para Brasil de la Red Latino Americana y del Caribe para la Humanización del Parto y del Nacimiento. World Health Organization. (2004) . Legislation and Regulation of Midwifery – Making Safe Motherhood possible. Draft. World Health Organization. (2004) . Making Pregnancy Safer: The critical role of the skilled attendant. A joint statement by WHO, ICM & FIGO. Department of Reproductive Health and Research. Geneva. Midwifery Today Issue 69, Spring 2004. The commendable work of the midwives must be respected for the great spirit of life that unites mother, father, baby, midwife and nature. We midwives need to unite in order to accomplish our mission and to bring about humanitarian care, making birth warm, happy and beautiful. In order to avoid losing the traditional knowledge of the elders, we the apprentices want to learn their theory and practices. We wish that our practice of midwifery be respected in accordance with the customs of each community. As midwives with love for our practice, we care for women according to their needs and we prepare them from childhood for their reproductive lives. In cases of risk and whenever a midwife asks for assistance, it is imperative that her needs be met in a timely and appropriate manner. In case of risk and/or complications, the midwife has the right to accompany and assist the birthing woman even if she is transported to a health care institution. The rich culture that we have must be respected, and there needs to be mutual and deliberate communication between midwives and doctors. We ask for the recognition and promotion of traditional midwives in policies and programs in order to ensure that their rights are fully respected in both acts and attitudes. Health programs should be in accordance with the needs of the community, not the government. Everything that is done to a woman's body must be with her consent. As human beings, we are one and men and women have the same rights. Both women and men need to participate in any sexual and reproductive health program. The husband needs to share in the birth process in order to make the couple aware of the responsibility that both should have within the nuclear family. We as midwives need to communicate to couples the importance of mutual respect to form a solid, happy and prosperous family. We declare the urgency of caring for our environment to avoid the continued contamination of the earth, water, forest and air, and thus preserve and strengthen Mother Nature.